I am currently reading a book about an athlete who was on top of his game, perhaps the greatest of all time in his sport. He had and still has everything the world has to offer. When he was 26 years old he was dating a supermodel, he had close to 30 million in the bank, was known all over the world and was the best in his sport- literally on top of the world. Yet he was miserable. When he was 26 he did an act of selfless service for someone else- and for the first time was excited about the feeling it gave him. All of his self focus had not brought him the happiness he craved… it only made him feel all the more empty inside. For those who are members of the Church of Jesus Christ of Latter-day Saints, we are literally sitting on a pile of diamonds. People with millions in the bank and worldwide fame are seeking for the answer to the question that haunts them. Only the gospel of Jesus Christ can fill the void in our mortal souls. In many ways we are much like Ali, and it takes prophets who can see to point out the diamonds in our homes, churches and in our souls. 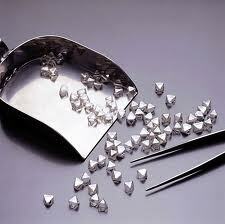 As a teacher for young people in the church, it is my duty to point out the diamond fields in the lives of our youth. Like Ali, they have a tendency to want to go off looking for the river between the two hills when it is in their own backyard. Their parents, scriptures and words of the prophets are diamonds that when studied, will add a dimension of happiness to their lives they never would experience otherwise. This entry was posted in Happiness and tagged making choices, making decisions. Bookmark the permalink.